Kamran Bokhari writes for Geopolitical Futures, a global analysis company founded by George Friedman is an American political scientist, author and businessman. In diplomacy, there’s a difference between resolving an individual dispute and resolving the deeper issues that led to the dispute in the first place. Such is the case now in the Persian Gulf, where Saudi Arabia led a six-nation effort to cut ties with Qatar on 5 June. The nations in question – Saudi Arabia, the United Arab Emirates, Bahrain, Egypt, Yemen and the Maldives – also banned all travel to and from Qatar and, with the exception of Egypt, ordered their citizens living in the country to leave. Qatar and Saudi Arabia may someday restore ties, but that isn’t really the issue. This is just a symptom of a much larger disease afflicting the region. Doha understands that it needs to be part of the Saudi-led alliance system – it just doesn’t want to be bound by it. Its freedom enables it to be pragmatic in its dealings with other countries. This explains why Qatar is willing to work with opposition forces like the Muslim Brotherhood and even Salafist-jihadists in Syria. Qatar can afford to flirt with Islamists because it doesn’t have that much to lose. Islamists, however, are a direct threat to the governments in Saudi Arabia, the United Arab Emirates and Egypt. It also explains why Qatar is willing to work with Iran and its Shiite allies. Qatar wants to balance Saudi Arabia against Iran; Saudi Arabia wants to completely isolate Iran. 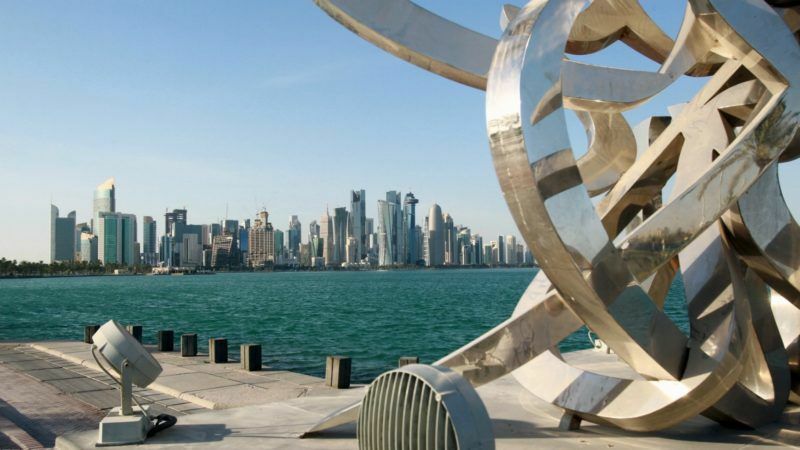 Qatar’s relationship with the United States, moreover, complicates these dynamics. The regional headquarters of the US Central Command is in Qatar, and the Qataris have helped the United States not just in the Middle East but also in South Asia, where they assist in peace negotiations with the Afghan Taliban. None of this behavior is new though. Doha has been friendly with the world’s only superpower for years. It’s played both sides in regional disputes for a while. And its wealth could hardly be considered newfound. It’s possible, of course, that the Qataris simply went too far in their dealings – that they did something Riyadh simply couldn’t accept. But if that were the case, the Saudis would almost certainly have made their grievances public. The more likely explanation is that the Saudis simply came to a point where they could no longer tolerate Qatari behavior. Riyadh is under immense financial pressure. The price of oil is low, Riyadh is struggling to diversify its economy, it has an increasing number of problems both at home and abroad it needs to deal with, including the growing instability in the Middle East. Riyadh’s previous attempts to pressure Doha have failed, so perhaps it believed it had no choice but to escalate matters. With regards to the US role in this Saudi effort to rein in Qatar, either Washington gave its tacit approval or was kept out of the loop. But it’s unlikely that Saudi Arabia acted without Washington’s knowledge. This kind of move would represent a major break in US-Saudi ties if that were the case. Given the relative success of US President Donald Trump’s recent visit, it seems unlikely that Riyadh would risk aggravating Washington so quickly. The more reasonable explanation is that Washington tacitly approved Riyadh’s plan to strong-arm Qatar. You claim Quatar can afford to flirt with Islamists because they have very little to lose, but that Islamists are a direct threat to the governments of Saudi Arabia, UAE and Egypt. However, you don’t explain why you believe that to be the case, or what causes this difference?